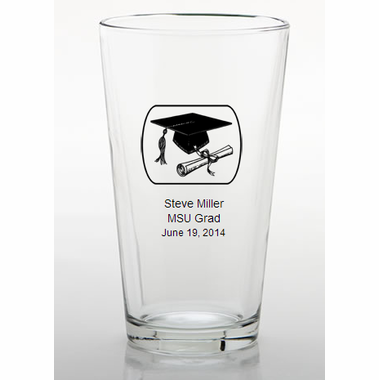 Are you looking for lasting custom college graduation favors? 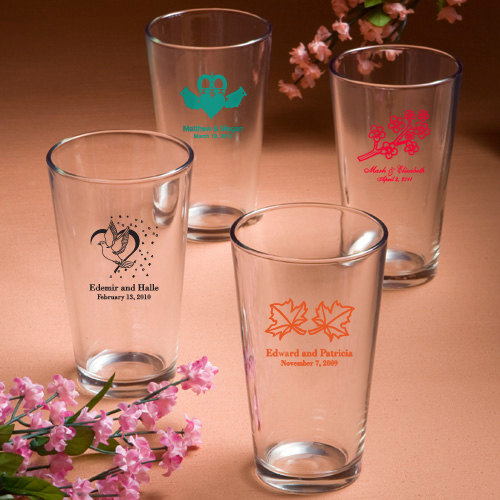 These pint glasses come personalized with a message of your choice. Most prefer to list the name of the new graduate, college and party or date of commencement. Perfect for beer, mixed drinks and soft drinks, each is 16 ounce glass is 6” tall and 3 ½” in diameter with the classic tapered pint glass shape and is made in the USA of quality domestic glass. Sold and packaged in bulk, these pint glasses are sure be a hit at your party!